Why should you consider board games in your workplace? The theory of “Play” in the workplace has been the subject of many studies and the results are clear, the use of games in the workplace is beneficial because it suits employees of different interests and passions in an engaging and challenging activity, increases productivity, improving memory, and enhances empathy for co-workers! Team Building - Leadership Training - Orientations - Department Mixers - or just a break in the day! Lets us help cultivate those employee relationships! 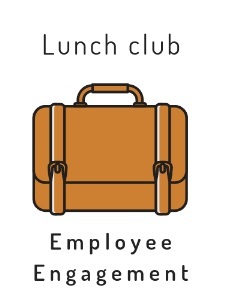 The lunch club is a flexible 3-hour come and go social event engaging employees while they eat lunch together. Great alternative to after work events! Lets focus on those professional and personal skills that help your team perform better! For best results schedule a board game time 1 to 2 times a month! The pebble drop - hire Friend & Foe to host a board game event for your employees. First ripple - creating space, through board games, for employee engagement - building company culture. Second ripple - your employees, as they find games they enjoy, gathering together outside of work to play - growing employee relationships further. Third ripple - your employees starting to play board games with their family - creatively merging work and personal life. Fourth ripple - your employees seeking other board game groups - multiplying the benefits of board gaming and social activity. Fifth ripple and beyond - your employee continually growing in both work and personal life as the work of board games is endless!